With close proximity to the A50, Fengate Manufacturing is readily available to supply high quality steel fencing products to the Stoke on Trent area. 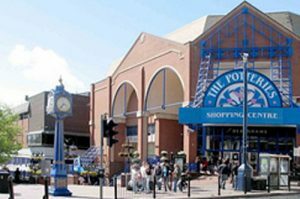 Stoke on Trent may have seen a major downturn in the production of pottery and ceramics over the years, but it is still a vibrant commercial area which benefits from heavy industry. Fengate Manufacturing has a product range which has proven popular with customers throughout the area which can be supplied to a wide range of businesses and applications are suitable for both aesthetic and security conscious needs. We offer a custom design service too and can install our products onsite and quickly, thanks to our easy local access to the area. We are literally 40 minutes away from you.